Tensions within the Inner Circle are at an all-time high, as Andy comes to Rebecca’s defense against Reeva. After making an important discovery about Dr. Risman’s research, Lauren convinces Reed and Caitlin that they must take action to destroy it. Frustrated with not being taken seriously, Jace begins to strategize with the Purifiers. Meanwhile, the Mutant Underground continues to work on saving mutants. However, tensions flare between Blink and Thunderbird as they confront their differences. Guest Cast: Angelica Bette Fellini as Twist, Kate Burton as Dr. Madeline Risman, Ken Kirby as Noah. Air Date: Tuesday, Dec. 4 (8:00-9:00 PM ET/PT) on FOX. 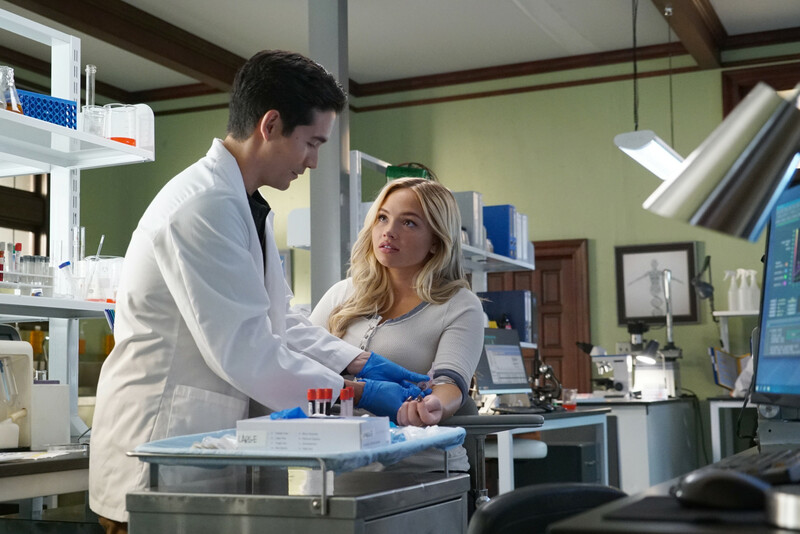 THE GIFTED: L-R: Guest star, Ken Kirby and Natalie Alyn Lind in the "gaMe changer" fall finale episode of THE GIFTED airing Tuesday, Dec. 4 (8:00-9:00 PM ET/PT) on FOX. ©2018 Fox Broadcasting Co. Cr: Annette Brown/FOX.